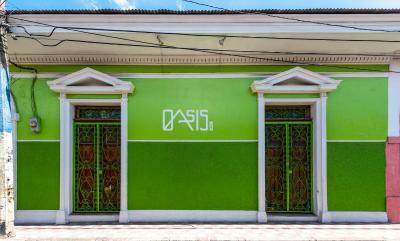 Lock in a great price for Oasis Hostel – rated 9.3 by recent guests! We really liked staying at Hostel Oasis in Granda. It's really central, and since Granada is a small town, that means you can walk everywhere. The pool is small, but really nice to cool off in on hot days (every day is a hot day). The communal kitchen is big and with plenty of space to cook. 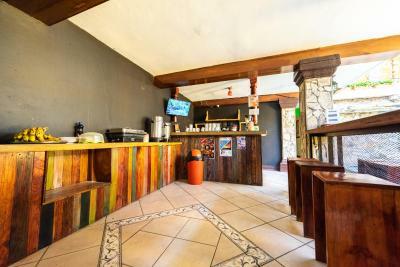 It's a pleasant hostel to just hang out by, and we found ourselves chillin' for hours in the hammocks and lounge areas. The staff, the activities they have everyday, the pool, the happy hour, how clean it is....It was a really nice place to stay and relax for a few days . All around, awesome hostel! Only thing is the 4 person private room is a bit small. Everything else is awesome. Clean pool, awesome happy hour, pancakes and oatmeal for breakfast, use of kitchen, awesome hangout and lounge areas. Two of the ladies that work there are super nice. The one at the front desk is so helpful! Great location too! Great place in Granada. 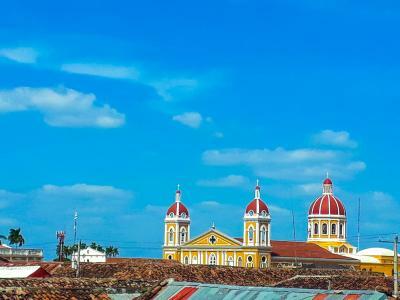 I stayed on two different occasions during my trip to Nicaragua. It really has everything you need and more. Free water, happy hour free rum, great breakfast included, coffee and tea. Basic comfortable and clean. Pool to cool off. Nice places to relax around the place. Super quiet during the night. 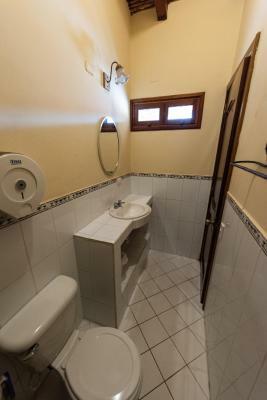 Great location, near to everything and good excursions. Very good value for money. Everything was great! A perfect spot to stay in Granada. Best Hostel in Granada! Super nice and helpful staff! 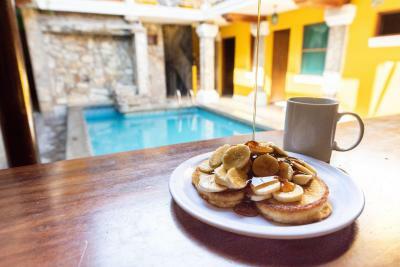 Love the chill atmosphere, Hanging around the Pool, playing Ping Pong, playing trivia night, sipping coffee all day long- best all you can eat pancake breakfast! You simply have to love Oasis! Everything was wonderful. The spot was so cozy and nice, clean, pool, internet, coffee, pancakes with bananas and etc. The spot was super close to center. Staff was very helpful. I would say that it is a great place. If I did not stay at this hostel I would hive never know about Lagunua de Apoya. Which is a must see. The hostel is good. The staff, excellent. One of our best sellers in Granada! 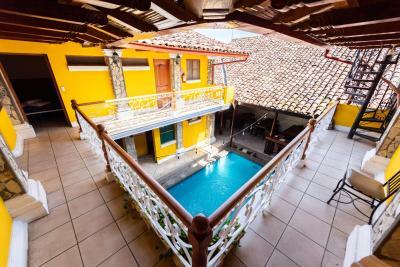 Featuring an outdoor swimming pool and free WiFi, Oasis Hostel is located in Granada, 25 miles from Volcan Mombacho. With a garden, the property also features a shared lounge, as well as a bar. Certain rooms at the property include a terrace with a city view. Some rooms also feature a kitchenette with an oven. You can play ping pong and pool at the guesthouse. 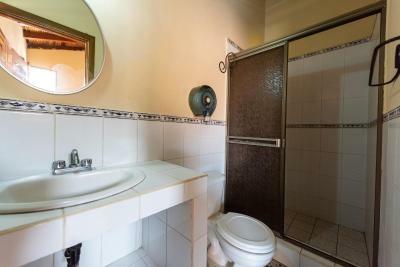 The nearest airport is Augusto C. Sandino Airport, 33 miles from Oasis Hostel. 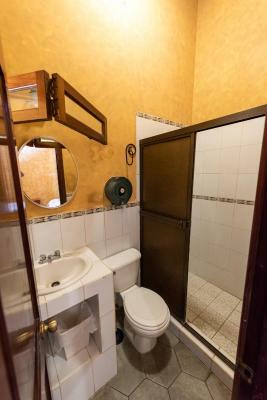 뀐 Located in the top-rated area in Granada, this property has an excellent location score of 9.6! When would you like to stay at Oasis Hostel? 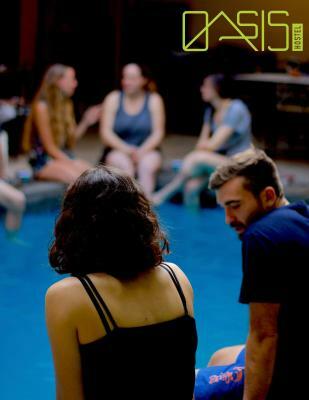 House Rules Oasis Hostel takes special requests – add in the next step! The breakfast is a bit dull, just plain ol' pancakes like every other hostel around. You can buy your own eggs during breakfast though, and cook them up. The only vegan option is oatmeal with hot water and bananas. For some reason, the hostel feels really, really big, which might make it difficult to talk to other people than your own crew. Might be easier if you go on a tour with them, but we found the options to be a little bit pricy. Free happy hour! Free breakfast! Chilled atmosphere and organised tours everyday. So hot in Granada, the fan was not enough. My room was 2nd floor above the pool and the bar. The music was so load one night. Horrible. Hard to fault this place but the rooms do get hot without aircon! 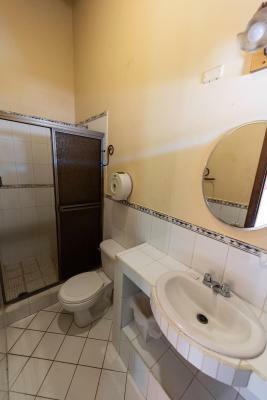 Staff are incredibly helpful and lovely, awesome location, well priced, and great atmosphere. the only thing I would suggest is to upgrade/improve the fans is the upstairs rooms. Those rooms are way too hot and the fan is pretty much useless.